Mim Kut Festival is Celebrate of Saptember month.This Festival is mostly Celebrated in Mizoram. 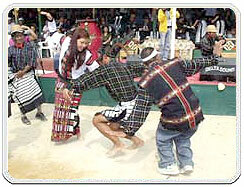 Mim kut is an annual festival celebrated in the state of Mizoram. 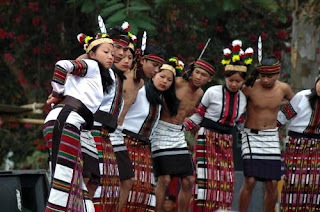 More than a festival it is a vibrant and colorful cultural fiesta that is celebrated with great fun and frolic. 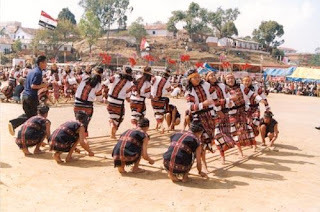 Mim Kut is basically a Maize Festival and is very important as far as the fairs and festivals of Mizoram are considered. Although every state in India is famous for its fairs and festivals, the festivals of Mizoram are unique in their own ways. There is enough scope of entertainment that is offered by these festivals. 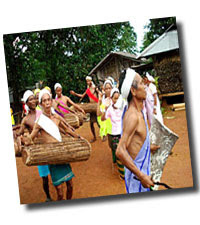 Mim Kut festival is especially dedicated towards invoking the dead souls and offering tribute to them. According to this ritual offerings are made to the near and dear ones who passed away in the previous year. Generally the first day of the festival is dedicated towards the ritual of making offerings for the dead ones. The second day majorly involves merriment and celebrations. There is tradition according to which on the second day, meals are prepared out of bread and people take a hearty meal from bread items.